We are a Washington State Department of Agriculture Commercial Pesticide Operator for herbicides in private residences, aquatic areas, ornamental landscapes and right-of-ways. 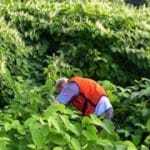 We can treat invasive plants and noxious weeds in almost any environment. Noxious weed control is a vital aspect of ecological restoration. Noxious weeds cause a number of damaging and costly problems to homeowners, farmers, wildland managers, and foresters. 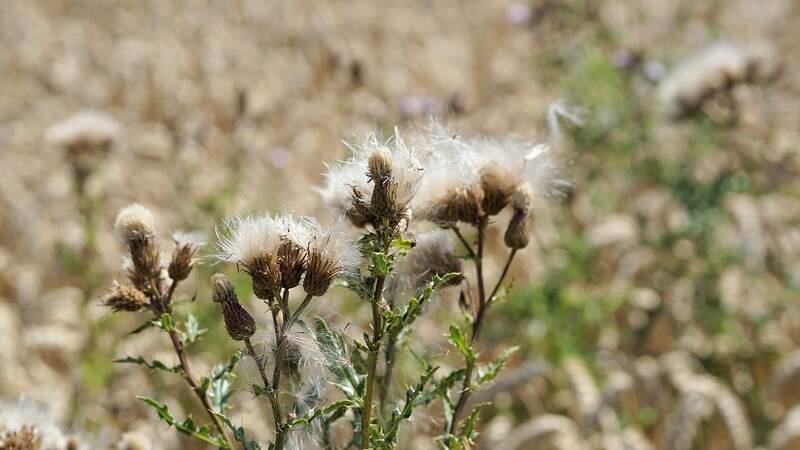 Apart from being direct threats to the lives of humans, pets, and livestock, noxious weeds can cause irreparable damage to natural and wild areas. Species like reed canary grass (Phalaris arundinacea) and knotweed (Polygonum spp.) 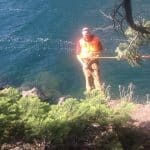 can physically choke out waterways and raise water temperatures and render areas uninhabitable by Washington’s salmon populations and other aquatic wildlife. Noxious weeds are plants that have been introduced outside of their native range and are not controlled effectively by any natural predators or competition from native vegetation. Common noxious weeds include Himalayan blackberry (Rubus armeniacus), Japanese knotweed (Polygonum japonica), tansy ragwort (Senecio jacobaea), and poison hemlock (Conium maculatum). Washington State designates three types of noxious weeds: Class A, Class B, and Class C.
Class A weeds are species that are limited in geographical distribution and have been deemed especially hazardous or costly. Class A species include giant hogweed (Heracleum mantegazzianum) and kudzu vine (Pueraria montana). Control of Class A weeds is mandated by law. Class B noxious weeds are plants that are more widespread but still potentially damaging to natural and cultural resources. Their control is mandated at the local level. Class B species include scotch broom (Cytisus scoparius) and yellow archangel (Lamiastrum galeobdolon). Class C species are widespread but can still be considered a nuisance. Their control is optional. Peninsula Urban Forestry is proud to provide an integrated pest management approach to our noxious weed control services. Utilizing mechanical, cultural, and chemical methods, as well as over 10 years’ experience backed with fully-certified and knowledgeable personnel, we will do our best to make your weed problems history. 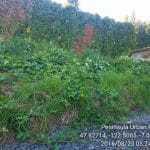 For more information, or to see a complete list of exotic plants deemed noxious weeds in the Washington, please visit the Washington State Noxious Weed Control Board’s website at http://www.nwcb.wa.gov/.